Light/mid weight polyester sweater knit with a basket weave. 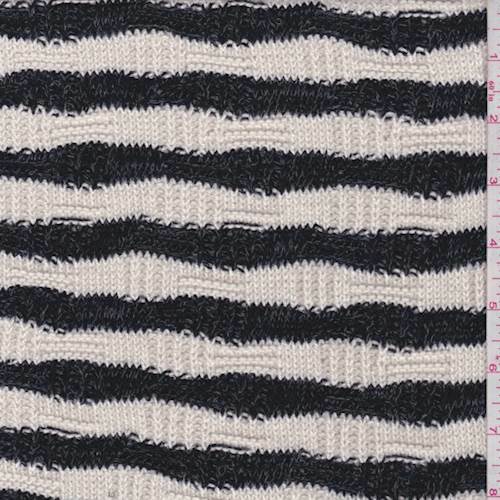 Accented with a yarn-dyed horizontal wave stripe. Textured surface with a dry hand/feel. Moderate mechanical stretch across width, nice drape. Suitable for lightweight sweaters, cardigans and more. Machine washable.